Her family’s final move brought her to New Orleans, Louisiana, where she went on to study for and earn her B.S. in Psychology at Xavier University of Louisiana. Immediately after graduation, she began work as a Teacher’s Assistant while also pursuing a teaching certification from The University of Holy Cross. Juggling both school and work as a full-time teacher’s assistant was a little hectic for her, but she still managed to squeeze in some time to read and work on a YA novel idea that she’d thought up while rereading Emily Bronte’s Wuthering Heights (one of Brownlee’s favorite classics). That idea eventually became Wrong in All the Right Ways, her debut novel, which is set for publication July 17, 2018. Tiffany Brownlee currently works as a middle school English teacher in New Orleans. 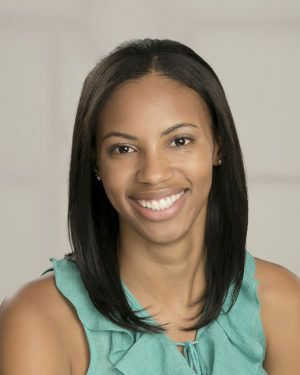 Tiffany Brownlee is a graduate from Xavier University of Louisiana working as a middle school English teacher in the New Orleans area. She has been writing stories since childhood and won her first creative writing award in second grade. Wrong in All the Right Ways, a YA retelling of Emily Brontë’s Wuthering Heights, mark’s her debut.